From the kitchen of One Perfect Bite...No picnic would be complete without something sweet to eat and I've been waiting for an excuse try this mildly spiced cake from Cook's Illustrated. 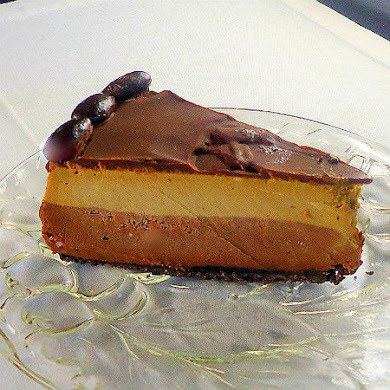 I made the cake to their specifications and the recipe that appears here is an unaltered copy of the one that appears on their website. 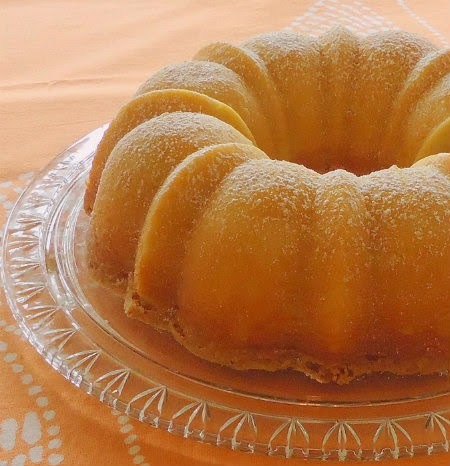 It produced a light cake with a tang from the buttermilk and cream cheese that's used in its preparation. While the cake is perfect for picnics or homely affairs on the deck, it's not easy to make and the end result is a good, not great, cake. I will make it again but will increase the quantity of spices that I use. Here's the recipe. 1) For the cake: Adjust oven rack to middle position and heat oven to 350 degrees. Grease and flour 13- by 9-inch baking pan. Combine spices in small bowl; reserve 1/2 teaspoon for frosting. 2) Heat 4 tablespoons butter in 8-inch skillet over medium heat until melted, 1 to 2 minutes. Continue to cook, swirling pan constantly, until butter is light brown and has faint nutty aroma, 2 to 4 minutes. Add spices and continue to cook, stirring constantly, 15 seconds. Remove from heat and cool to room temperature, about 30 minutes. speed until pale and fluffy, about 3 minutes, scraping down sides and bottom of bowl twice with rubber spatula. Reduce to medium speed and add cooled butter and spice mixture, ginger, and half of egg mixture; mix until incorporated, about 15 seconds. Repeat with remaining egg mixture; scrape down bowl again. Reduce to low speed; add about one-third flour mixture, followed by half of buttermilk, mixing until just incorporated after each addition, about 5 seconds. Repeat using half of remaining flour mixture and all of remaining buttermilk. Scrape bowl and add remaining flour mixture; mix at medium speed until batter is thoroughly combined, about 15 seconds. Remove bowl from mixer and fold batter once or twice with rubber spatula to incorporate any remaining flour. 4) Transfer batter to prepared pan; zigzag tip of metal spatula through batter, pulling it to pan edges. 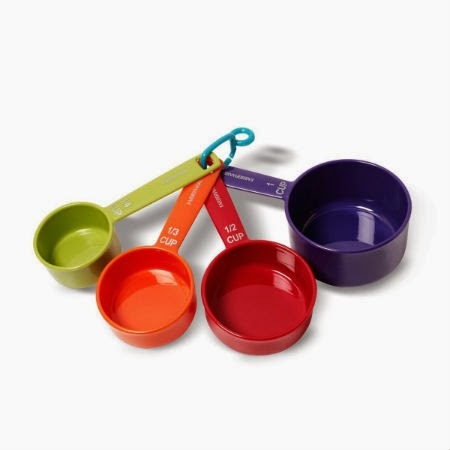 Lightly tap pan against counter 3 or 4 times to dislodge any large air bubbles; smooth surface with spatula. 5) Bake until toothpick inserted in center of cake comes out clean, 32 to 37 minutes. Cool cake to room temperature in pan on wire rack, about 2 hours. 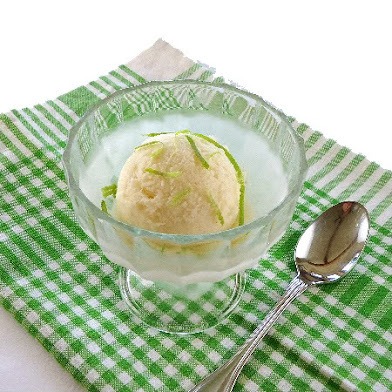 6) For the frosting: In bowl of standing mixer fitted with paddle attachment, beat butter, sugar, and reserved 1/2 teaspoon spice mixture at medium-high speed until light and fluffy, 1 to 2 minutes. Add cream cheese one piece at a time, beating thoroughly after each addition. Add vanilla and beat until no lumps remain, about 30 seconds. 7) Run paring knife around edge of cake to loosen from pan. Using spatula, spread frosting evenly over surface of cake. Sprinkle cake with walnuts, if using. Cut into squares and serve. Yield: 12 to 16 servings. I'm going on a picnic and I'm bringing Buttermilk Spice Cake. 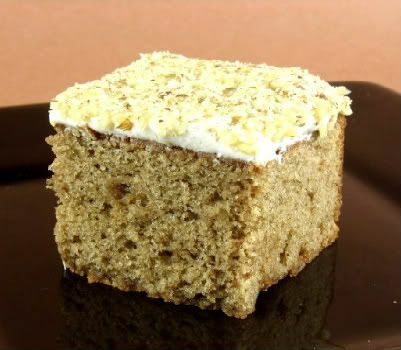 My letter is B.
I just love spice cake and this one looks terrific! I am so in love with the cream cheese frosting as well. Lovely! Looks perfect for a picnic - and also next time I have to prepare a cricket tea!! 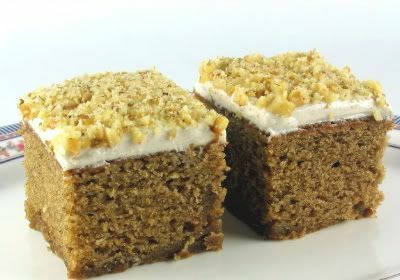 Spice cake is a favorit eand who doesn't like anything topped with cream cheese . . . but I prefer easy cakes mostly nowadays and appreciate your comments. Gorgeous spice cake and I love cream cheese frosting! Talk about gorgeous! What a perfect way to top off a picnic. I love spice cake, but I'm the only one who eats it around here. I'm going to a Bunko party Saturday, I may try this to take. Lovely cake. I think my kids will love it. Mary the cake really does sound delicious and perfect for a picnic. I would be interested when you make this cake again with your changes. Old time goodness. I'm going to make this today and take your advice to add additional spice to the recipe. This will be a great one to have with a cold glass of milk. I'm all for this!!!! In fact, it's printing out right now. Yummy. Oh so yummy for the tummy. Now, question is: I got dessert all lined up, what'll I make for the 3 course meal to go with it? Huh? What amazing cake recipes. 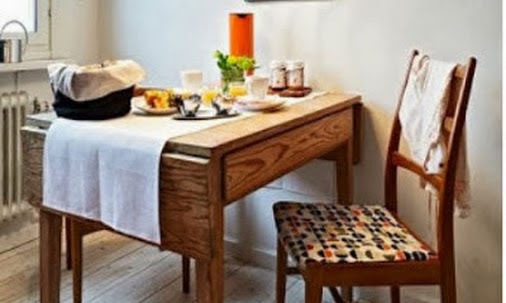 I love your blog and I have added you to my blogroll. Will keep visiting for more recipes. Louise and Samahita, welcome to One Perfect Bite. I hope you'll both become regular visitors. Louise, I'll enter something into your picnic meme this afternoon and Sam I've already seen your gorgeous dumplings. I love that you both have come to visit here. You throw a fabulous picnic! I'm all for more spice! It does look absolutely gorgeous, though. Loving the buttermilk in there...a little tang w/ your spice. Nice. I love spice cake- dont have it nearly enough. This one looks yummy. Spice cake is my favorite - yours look delicious and pretty. Heather, as long as you continue to take such beautiful photos you don't need to cook with so many ingredients. Cream cheese frosting - Oh, I could eat it straight from the bowl!! The spice cake looks wonderful but it seems like a pretty lengthy process. Right now I am just starting to make your cobbler recipe with fresh mango and blueberries. If all turns out well, I will take a picture and post it tomorrow. I mean really Mary, I couldn't mess that up..could I? That would be WONDERFUL! Oh yes, I will be back. I've added you to my blogroll. I LOVE it here! Louise, we're glad you like it here.:-). All I can do is drool in envy. YUM... that sounds and looks INCREDIBLE!!! this looks good. Like a good picnic cake. 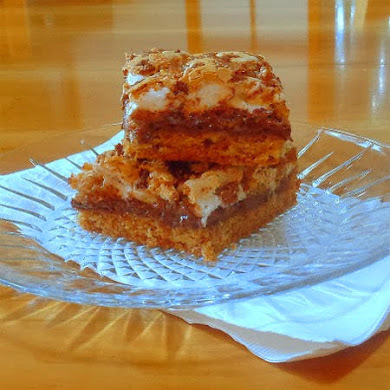 I have an old-fashioned oatmeal cake that I make for picnics. Lov the spices. ... and how could this not be delicious! Oooooh, I LOVE spice cake! Big piece out of the center for me please. 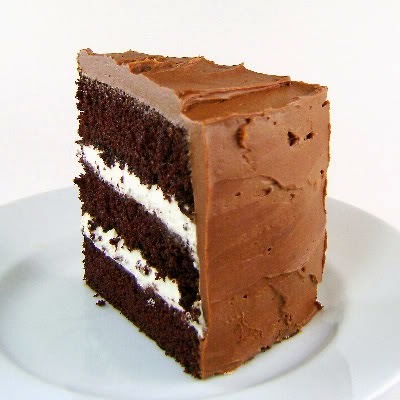 what a perfect slice of cake!!!!!!!!!!!!! Mary! I can leave a comment via my phone. Geesh finally! I just wanted to let you know I'm still around and enjoying one perfect bite. Thanks for all your support on my blog too. I appreciate you so much. 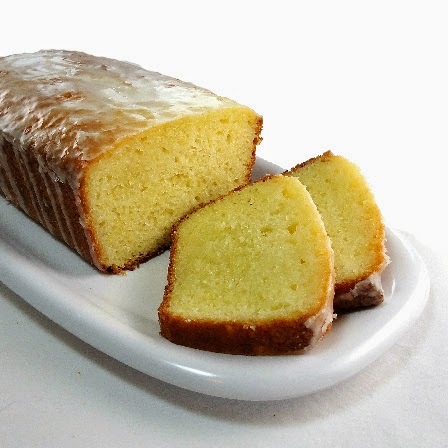 I love spice cake and it really have to taste like it has a lot of spices. Thanks for sharing. That cake looks good! I like the use of the cardamom. Thank you for playing the Picnic Game, Mary. Your Buttermilk Spice Cake promises pure delight! looks great. I love spice cake--though I like richly spiced. So I would up the spices too. Isn't the cardamom special in this cake? Just made this today, and for fun I made it side-by-side to the Cook’s Country Spice Cake and an old recipe from Better Homes and Gardens that I made probably 15 years ago. I loved the BHG recipe then, but boy were these new recipes better! This CI version was the spiciest of the bunch, with a medium crumb, and I loved the frosting. The CC version had that perfect cake crumb that I’ve tasted before from this company, with a more mild spice flavor, but still a buttery delicious cake. I will definitely be making BOTH of them again! I like your idea to up spices as desired to personal taste...so easy to do! I just love Cook’s Country – Cook’s Ilustrated – America’s Test Kitchen!